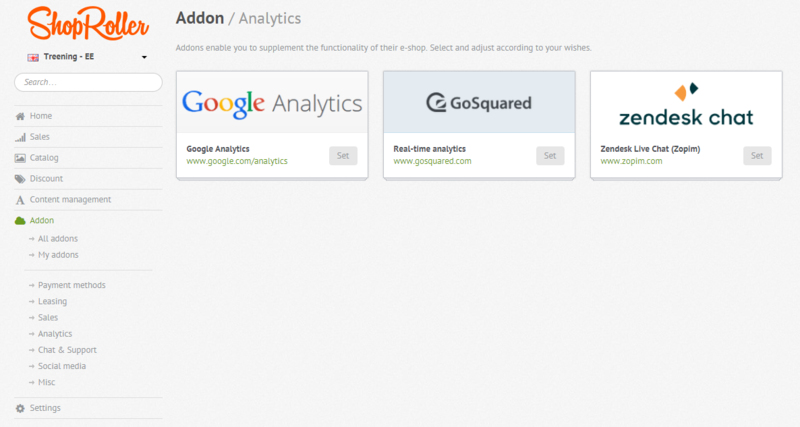 This help article will show you how to add Google Analytics to your ShopRoller eStore. Open "tracking info" > "tracking code" to find your "Tracking ID" and "Global Site Tag" code. We will cover each of these methods! 1. 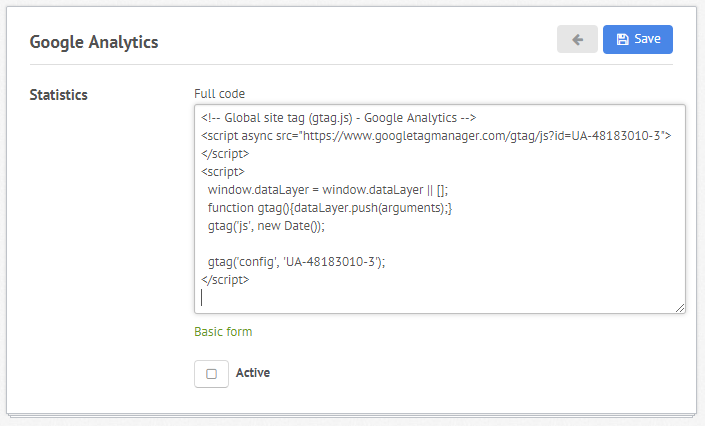 From Google Analytics: Copy the Global Site Tag (Gtag.js) Code. NB! If you have used the Start Up Wizard to add Google Analytics before, you have used the "advanced form" method in the Admin Settings. From this point, there are two alternative methods to add Google Analytics: the "Basic Form" or the "Advanced Form". NB! If you have used the Start Up Wizard to add Google Analytics before, you have used the "advanced form" method. 2. Copy and paste Gtag.js code into the "Advanced Form"
In the Google Analytics settings of your ShopRoller account, the basic form should automatically open. NB! Switch back from the Advanced Form by clicking "Basic form"
The Google Analytics Tracking ID (the "UA-XXXXX-X" number) is found in your Google Analytics account, on the same page as the Global Site Tag code. Copy this number and paste it into the field in your ShopRoller Account. The "Domain name" refers to the URL Google is tracking (ie, your online store domain URL). Copy/ type your URL into this field. How should I add Google Analytics to my store? The easiest way to add Google Analytics would be to add the Global Site Tag code (from your Google Analytics account) into the field found in the Startup Wizard (in your ShopRoller account). Do I need to fill out the basic form AND the advanced form? No, you can select your preferred method.